Imagine not having to juggle 4 tools while trying to write down crucial information on your patient. Time saved is lives saved in nursing. 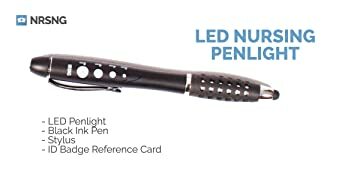 For less then the cost of the traditional penlight, NRSNG has done in it again by packing 4 essential clinical tools into 1 easy to use reliable penlight.